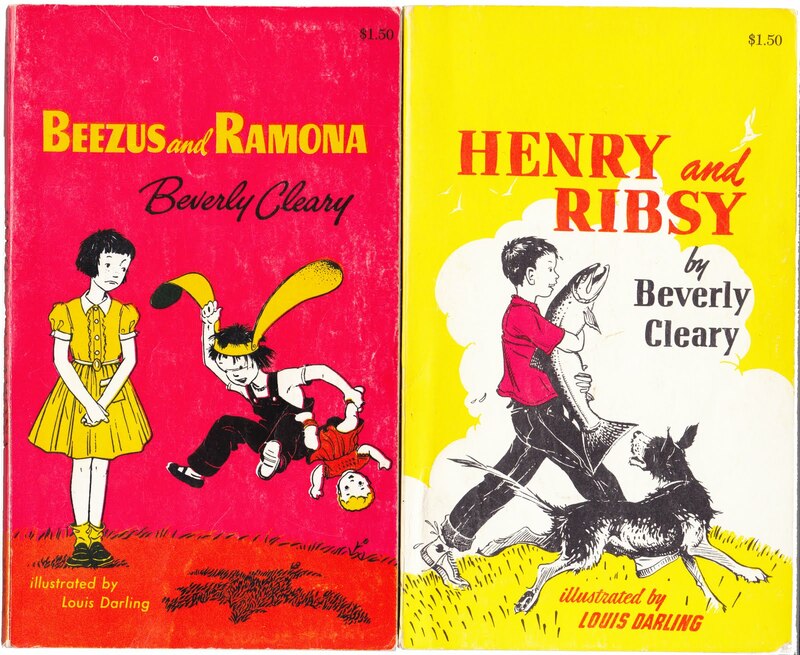 Beverly Cleary is quite literally a living legend. The author of more than 40 books (starting with Henry Huggins all the way back in 1950 and continuing to Ramona's World in 1999) and having sold more than 90 million copies (they're still in print! 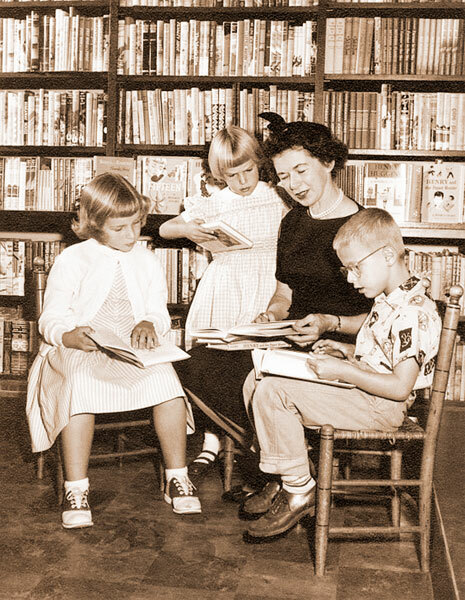 ), she's a pioneer in children's literature. And do you know what next week is?? Her 100th birthday! YAY!! 1. On turning 100: "I didn't do it on purpose!" 2. "I remember a very earnest conversation my best friend and I had when we were, I guess, freshmen in high school, about how long we wanted to live and we decided that 80 was the cut-off date." 3. 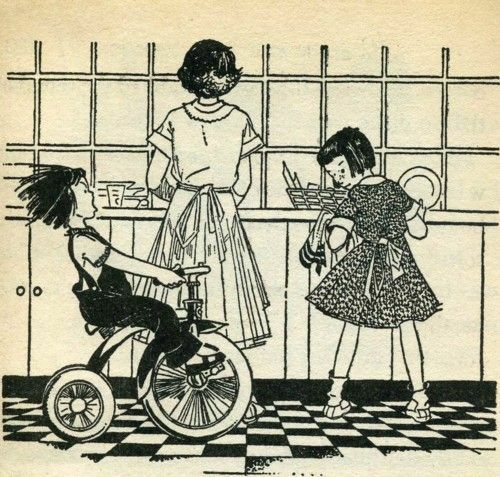 "Books in those days, back in the 1920s, had been published in England, and the children had nannies and pony carts and they seemed like a bunch of sissies to me,"
4. What she's looking forward to in life: "At my age? Well, I'll leave that up to you." 5. What she's most proud of: "The fact that children love my books"
and I took it as a compliment. I'm surprised that I'm almost 100. I sometimes write the figures down on paper to make sure." 7. 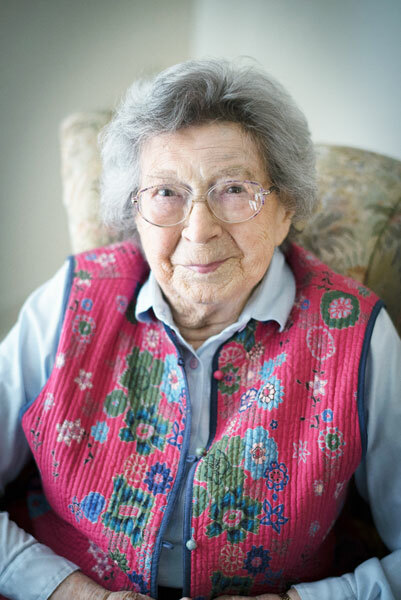 "I told someone the other day that I'm so old I can remember the end of the First World War. The three church bells in Yamhill [Cleary's hometown in Oregon] were ringing, and I was running across the barnyard with my mother. I tripped and ripped my long cotton stockings. She told me I must never forget that day." 8. "When I was young, I told my mother I wanted to write, and she said, 'That's fine, but you must have a way of earning a living. Work for one year before you try to write.' It was sound advice, so I went to library school and became a librarian." 9. "Then the war [World War II] came along and upset everything. I went to the employment office thinking I'd be Rosie the Riveter. But no. They were looking for a librarian!" 10. "My instructions from the commanding officer at the [Oakland Army] base were, 'Talking to the men is more important than the actual library work.'" 11. "There were two librarians at the same post. The other woman was older, so she was junior librarian and I was junior hostess, which sounds kind of racy, but I catalogued the whole library." 12. When transferred to a military hospital: "They were much better to me there than the army base. Of course the readers were captive; they were in bed." 14. "I couldn't find any books about kids who played on the sidewalk in front of their houses. Authors back then thought their characters needed to go to sea or have big adventures. Well, most kids don't have adventures, but they still lead interesting lives. My life is interesting to me, but I'm surprised it's interesting to anyone else. I haven't had any spectacular adventures or gone to sea." 15. On writing a book a year: "I usually started a book the day after New Year's Day. I kept at it until I was done, probably in May or June, and then I wouldn't write a word until the next year." 15. The most rewarding aspect of writing: "The children who have discovered the pleasure of reading with my books. I remember when I made the same discovery in third grade, and it was a turning point in my life." 16. "I did hang in with answering letters for a long time even though my publisher said not to. It kept me in touch with childhood. I made up for it by having twins." 17. What her characters would be like today: "Beezus would be a nurse, or a teacher, and would marry and have maybe two children. She would struggle in today's world to bring them up properly. 18. "[Henry] would be a building contractor, because he built a clubhouse." 19. "Ramona—I really don’t know. I think she would probably try several different jobs and maybe go backpacking around Europe with some friends." 20. Nowadays: "I like autobiographies. When I read fiction, I'm always looking for what the author is up to. But I don't care for footnotes. I was footnoted out in college." 21. "I hate to admit that I reached the point where I need large-print books. I was very amazed to discover them. They should make a large-print edition of all books!" 22. To celebrate her birthday: "They make a divine chocolate mousse cake here [at the retirement home]. It’s probably very fattening and full of cholesterol, but they asked me what I wanted." 23. "Go ahead and fuss. Everyone else is." 24. On being compared to Ramona: "I thought like Ramona, but I was a very well-behaved little girl." 25. "I don't think I joined this century"
26. "I think children today have a tough time, because they don't have the freedom to run around as I did—and they have so many scheduled activities." 28. "Don’t expect me to analyze my books!" 29. "I liked to have [my mother] read to me. So I thought, what's the point in my having to do it myself?" 30. "I was looking through The Dutch Twins by Lucy Fitch Perkins and I discovered I was reading—and enjoyed it." 31. On her kids' help: "My son pointed out that you cannot ride a bike with a banana in your hip pocket. So I did take that out. I didn’t want my character to have a squashed banana in his pocket." 32. Writing style: "Oh, very messily. I usually start with a couple of ideas, not necessarily at the beginning of the book, and I just write"
33. "I really enjoy revising more than writing. I love to cross things out and cut a page down to one paragraph." 34. "She was really an accidental character. When I was writing Henry Huggins, it occurred to me that all the children appeared to be only children. I thought I should put somebody else in, so I was starting to put in a little sister and someone called out to a neighbor who was named Ramona, so I just called Beezus’s little sister Ramona"
35. "The school librarian took a special interest in me. She encouraged me by saying that someday I should write for children. It seemed like a good idea." 36. "I don’t really think of my stories as taking place in any particular time. However, they do take place in a real neighborhood in which I grew up and which I still visit. It’s really a remarkable neighborhood"
37. "The children in my stories now wear pants if they want to—that wouldn’t have been permitted in my day." 38. On illustrations: "The publishers consult me on every little detail, and I don’t know that I’m always the best judge, but they do ask." 39. "I'd really like to have dinner with all of [my characters], if they chewed with their mouths shut and sat up straight and minded their manners." 40. On her characters getting along: "I think basically they would. They might squabble a bit, but don't all children?" 42. "She's really not a naughty child, in spite of the title of Ramona the Pest. Her intentions are good, but she has a lot of imagination, and things sometimes don't turn out the way she had expected." 43. Where she gets her ideas: "From all sorts of places. From my own childhood, from the childhood of others that I hear about, sometimes from newspapers." 45. "I think the emotions of children don't change. Their life situations change, but inside they're just like they always were. They want a home. They want parents that love them. They want friends. They like teachers that they like. And that's rather universal." 46. "Mitch and Amy is modeled after my own children, but I found it difficult to write when the characters were running around the house." 47. "When I was in grammar school, I sometimes felt that school didn't want us to read, because there were long questions after everything we read, and we had to write book reviews and give the theme of the book." 48. "that was the question I hated the most: "What was the theme of this book?" I just wanted to read a book and enjoy it. And I think that's what children should do. 49. "I think I was fortunate in growing up before television and before many people even had radios, because my mother read aloud every evening to my father and me, and...I loved those evenings. I wish more people read aloud." 50. "I developed my love of reading because my mother always saw to it that I had books, and she read a lot." 51. "I picked up a copy of The Dutch Twins by Lucy Fitch Perkins, planning to look at the pictures, and I discovered that I was reading and enjoying what I read, and I kept on reading. It was a dull, rainy day, and it really was wonderful. It was a turning point in my life." which are not different in many ways from those of children today. I don't think children's inner feelings have changed." 53. "I rarely read children's books." 54. "My parents were very proud and happy for me. And I suspect my mother felt a tinge of envy, because she always wanted to write. I don't know why she didn't." 55. "I loved my family and I loved my young career. A neighborhood woman felt that I needed help and offered to come babysit the children. I would write while she looked after them. They would draw pictures and slide them under my door. It worked out nicely." 56. "The school librarian was my favorite and we were in touch all the rest of her life." 57." I think the best teachers had a real interest in the subject they were teaching and a love for children." 58. "So many of the teachers dressed in drab brown or dark blue; I loved to have a teacher who wore bright colors." 59. "I don't think anything will ever replace the pleasure of holding a book and turning its pages." 60. "I don't ever go on the Internet. I don't even know how it works." 61. "I hope children will be happy with the books I've written, and go on to be readers all of their lives." 62. "What was the matter with authors? I knew I could write a better book." 63. "I wrote books to entertain. 64. "If I suspected the author was trying to show me how to be a better behaved girl, I shut the book." 65. "I was a great reader of fairy tales. I tried to read the entire fairy tale section of the library: Andrew Lang's Blue Fairy Book, Red Fairy Book, and so on, probably down to the Puce or Chartreuse fairy tales." 66. "People are inclined to say that I am Ramona. I'm not sure that's true, but I did share some experiences with her. I was an only child; I didn't have a sister, or sisters, like in Ramona's World. Oh, there are many differences. Writers are good at plucking out what they need here and there." 67. "Otis was inspired by a boy who sat across the aisle from me in sixth grade who was a" [she pauses] "lively person." 68. "My best friend appears in assorted books in various disguises... She's a very warm and friendly person; the sort of person everybody likes. I've known her since we were in the first grade. I don't think we've ever exchanged a cross word." 69. "I re-read Fifteen not long ago. I usually don't read my books, but I picked that up, and it's absolutely true to the period. Some people have said that those books are dated, but they're not. They're true to the period." 71. "I'm writing about growing up. What interests me is what children go through while growing up." 72. "I feel sometimes that [in children's books] there are more and more grim problems, but I don't know that I want to burden third- and fourth-graders with them. I feel it's important to get [children] to enjoy reading." 73. "[Parents need to] read aloud to your children and let them see you enjoying books. Children want to do what the grownups do. Children should learn that reading is pleasure, not just something that teachers make you do in school." 74. "When I finally told myself if I was going to write I should sit down and start writing, well, I expected to write about the maturing of a sensitive girl but I found I didn't have anything to say on the subject, and so I thought about those boys who wanted books about kids like us. So I wrote about the sort of boys I knew in my neighborhood." 75. "I've been surprised at the number of young men that I have heard from who said that they had never liked to read until they discovered my books." 76. "I do have very clear memories of childhood. I find that many people don't but I'm just very fortunate that I have that kind of memory." 77. "I really wrote that for my son when he was in about the third grade and was disillusioned with school and reading and I said, well, what would you like to read about? And he said motorcycles." 78. On answering fan mail: "I did for about 30 years, over my publisher's objection. They wanted me to be writing books, but you know, I learned a lot from children's letters." 79. "You can curl up with a book and I don't think anything takes the place of reading." 80. "I had a bad time in school in the first grade. Because I had been a rather lonely child on a farm, but I was free and wild and to be shut up in a classroom—there were 40 children on those days in the classroom, and it was quite a shock." 81. "I didn't start out writing to give children hope, but I'm glad some of them found it." 82. "The reader was incredibly stupid—about Ruth and John and Rover." 83. "I've had some very moving letters from young men in the last year or so saying that Henry Huggins gave them hope, that there were better neighborhoods to live in than wherever they lived." 84. "Well it was just work that I enjoyed. I could do it at home. And I didn't have to catch a bus." 85. "I had resisted learning to read; my mother had wanted to teach me"
86. On starting school: "It was terrifying." 87. "Oh I remember a moment of terror in first grade when we were in—well, today it'd be called a reading circle—and I figured ahead what word I'd have to read and it was 'city.' And I knew it wasn't pronounced 'kitty' but I didn't know how—my turn came and I had to say 'kitty' because I couldn't remember what it was. And I was reprimanded by the teacher." 88. "I got carried away and made up a quite a tale about giving my pet chicken to feed the troops. The teacher said that mine was the only one acceptable and that I didn't have to do it over. And I felt pretty smug about that." 89. As a librarian: "That's where I learned to write for children—standing up and telling the story. I didn't read the story, I told it." 90. "I expected to write about the maturing of a sensitive female. And I sat down—and I waited and waited and no ideas came." 91. On getting published: "I had heard that if you don't hear within six weeks when you send a manuscript in, you can write and ask about it. 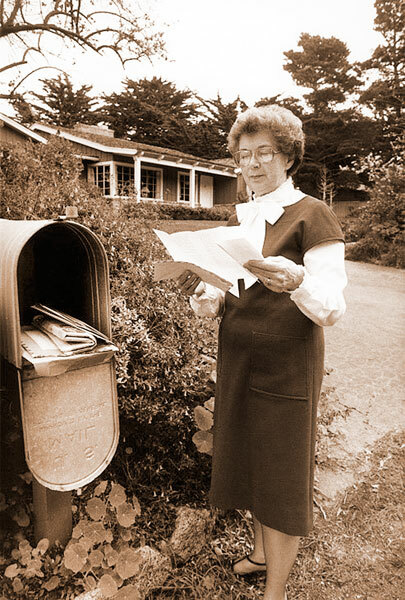 And the weeks were going by...and when the long white envelope arrived, [the mailman] came running down the garden steps to get it to me a few seconds faster!" 92. "There's bits of me in Ramona and bits of other people." 93. "Well I took care of the house with one hand and wrote with the other." 94. "It crossed my mind, that mouse was just the right size to ride that motorcycle. That's the kind of messy mind I have." I learn by observing and remembering." 96. "I've had a long and exceptionally happy career"
97. "If you don't see the book you want on the shelves, write it." 98. "I had a very wise mother. She always kept books that were my grade level in our house." 99. "All knowledge is valuable to a librarian." 100. "Problem solving, and I don't mean algebra, seems to be my life's work. Maybe it's everyone's life's work." Happy birthday, Mrs. Cleary. In elementary school , I always looked forward to the quiet period after lunch. Several of my teachers would read a chapter a day from one of your books. My third grade teacher was probably my most memorable. Your books and her teaching and oral reading influenced my decision to later enter the education field. These 100 quotes are simply amazing! Blessings to you! Happy Birthday Mrs. Cleary! I grew up reading your books and loved them! Be well.